The Fall movie season is on the horizon, and with it inevitably comes a wave of hotly anticipated festival hits, independently-produced game changers, and studio prestige pictures all gunning for one thing: gold. Now that the Summer movie season is more or less behind us, I thought I’d take a look back at the best and worst of the last eight months. These lists will likely look much different come January 2017, after studios have released the films they’ve been sitting on all year long, so it’s important to give credit to some of the movies that may become lost in the shuffle over the next few months. The Coen Brothers’ most recent directorial effort wasn’t one I fell in love with immediately, but instead came to greatly appreciate it over time. The beauty of Hail, Caesar! comes in the form of its solid script, bringing with it absurd comedy, nods to beloved Hollywood classics, and difficult themes like religion and communist politics. The performance of future Han Solo Alden Ehrenreich as western star Hobie Doyle is perfect, and easily my favorite thing about the film. It may not feel like a major work by two of the greatest living American directors, but it’s quickly wormed its way into my heart. Disney proves once again that when they go outside of their comfort zone is when the time-tested production house delivers their very best output. Following the early law enforcement career of Judy Hopps (Ginnifer Goodwin), Zootopia creates a beautiful and unique universe for viewers to really sink their teeth into. The world building, character development, and film noir-esque inspired plot come together in one fluffy, wonderful package. There’s a heck of alot here for audiences of all ages to enjoy, including some genuinely hilarious gags (the sloth sequence was a true highlight). Greta Gerwig is quickly becoming my favorite working actor, and her performance in Maggie’s Plan is another home run from the talented young woman. She stars at the titular Maggie in writer-director Rebecca Miller’s dramedy about the complications of long-term relationships, and the lengths people will go to when trying to rid themselves of such burdens. Gerwig’s performance is as neurotic as always, but feels more mature and layered than previous starring roles in films like Frances Ha or Mistress America. Gerwig is propped up by a typical good performance by Ethan Hawke, and a hammy but solid turn from Academy Award winner Julianne Moore. Maggie’s Plan doesn’t quite reach the highs of Noah Baumbach’s Gerwig vehicles, but is still an intelligent, touching, and funny film in its own right. 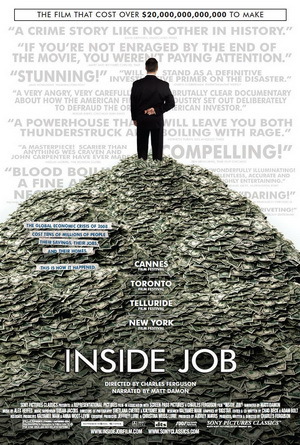 The newest addition to the list is also one of Alex Gibney’s best documentaries in years. Zero Days is the terrifying look at America and Israel’s long-standing nuclear tension with Iran, and the role played by a highly advanced computer malware called Stuxnet. While Gibney doesn’t get the answers he intends to, the reasons given for the lack of information are just as unsettling as the film’s subject matter itself. What Zero Days does feature is in-depth interviews with incredibly important figures in America’s modern domestic defense force, and a very narrow focus. If the subject matter interests you in any way, you shouldn’t miss out on this startling documentary. ESPN’s 30 for 30 series of sports-related documentaries has an impossibly high turnout of incredible works, and their latest epic miniseries is without a doubt their greatest achievement yet. O.J. : Made in America methodically chronicles the life, career, alleged crimes, and subsequent trial of former football superstar O.J. Simpson. Made in America runs for nearly 8 hours, but every minute of this documentary is riveting, and really helps you understand how the prosecution fumbled a case that seemed so simple to win in the beginning. ESPN’s latest project looks at the socio-political climate of America in the early 1990’s, and without saying it implies that our currently climate is very similar. O.J. : Made in America is peppered with phenomenal archival footage, and features in-depth interviews with those closest to O.J. Simpson, Nicole Brown, and Ron Goldman. This documentary is a triumph, and nobody reading this should let the daunting runtime scare them away: O.J. : Made in America is a modern documentary masterpiece. That’s my list! I’ll soon follow-up with my least favorite films of the year, and the films that disappointment and surprised me the most, as well as highlight some of my favorite performances of the year, and movies I’m highly anticipating and haven’t yet caught up with. If you feel I’ve missed anything or that I’m just plain wrong on one of my picks, let me know in the comments! As of my viewing of Edward Yang’s acclaimed film Yi Yi on June 1st, I have seen exactly one hundred foreign-language films from around the world. Through the magic of the cinema, I’ve travelled across four continents, and visited 28 different countries. I’ve seen films from mighty nations like Russia, France, Japan, and South Korea, and some from countries people don’t normally think of as having film industries like Iran, Cuba, Chile, and Romania. Why? 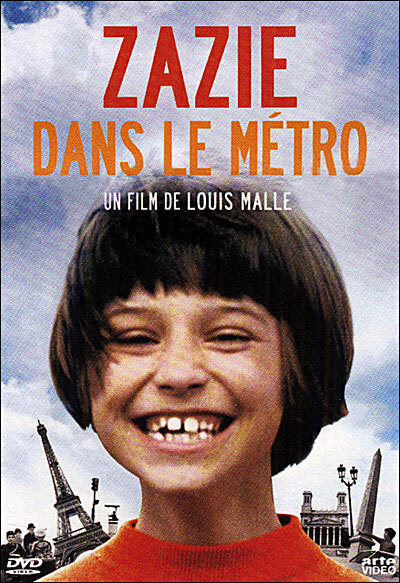 : Zazie Dans Le Metro was my first experience with the films of legendary French filmmaker Louis Malle. It’s a hilarious, satirical, and incredibly fun ride, and Catherine Demongeot is infinitely likeable as the titular Zazie. I’ve never felt this much joy while watching a film for the first time. Why? 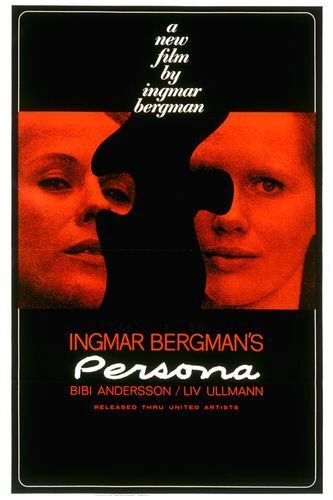 : Persona is perhaps Ingmar Bergman’s most famous film (aside from The Seventh Seal), and for good reason. There isn’t anything about Persona that I can criticize in any way, as in my opinion it is a near-perfect film. It’s about a nurse and a mute actress who’s persona’s slowly start melding together, and it’s a heck of a trip. This is a film that will change the way you look at the medium forever. Why? : I Am Cuba started as being essentially a propaganda film for the South American country, but it has evolved into so much more than that over the years. 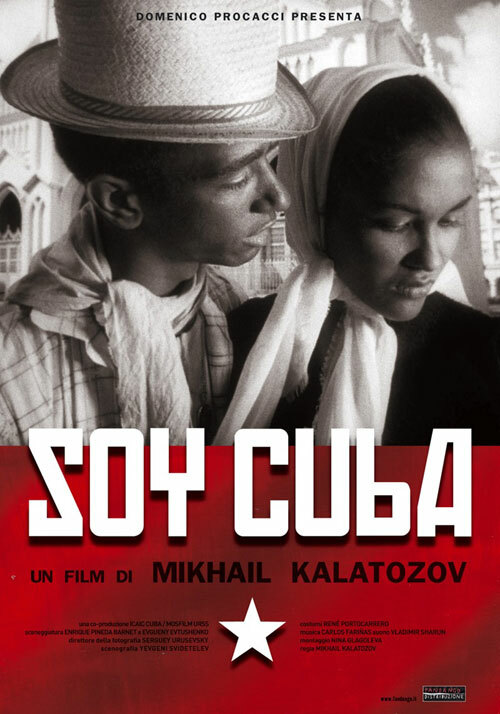 Kalatozov’s long tracking shots are some of the most beautiful camera movements I’ve ever seen in the film, and the stories of Cuban revolutionists and everyday citizens are far most exciting than they sound. I Am Cuba is truly one of the greatest films I’ve ever seen from both a technical and a storytelling perspective. Why? : The Child marks the second time that Belgium’s The Dardenne Brothers have won the prestigious Palme d’Or at the Cannes film festival. This time they follow a young man with financial problems who tries selling his newborn son on the black market. 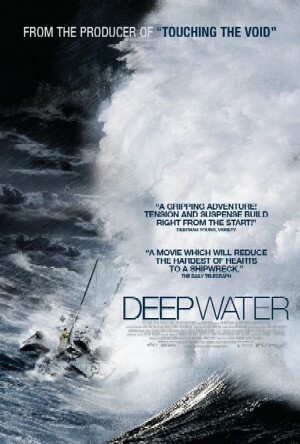 It’s incredibly tense, and is one of the most natural and realistic films I’ve ever seen. This film was on my mind for days after seeing it. Why? 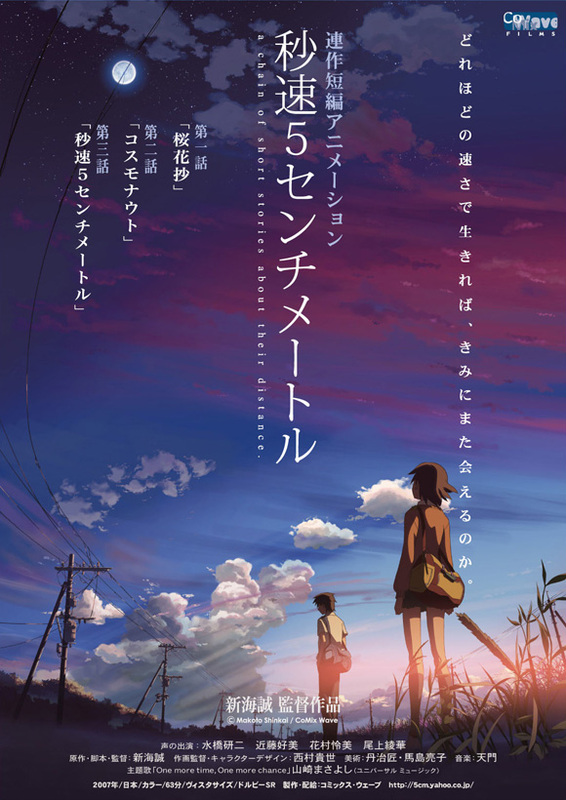 : 5 Centimeters Per Second is the first of two animated films on my list, and one of the greatest stories of love that I have ever seen. It’s one of the most beautiful films I’ve ever seen, both in its incredible animation and in its actual content. At barely over an hour long, 5 Centimeters packs an emotional punch the likes of which I’ve never felt before. One of my all-time favourite animated films! Why? 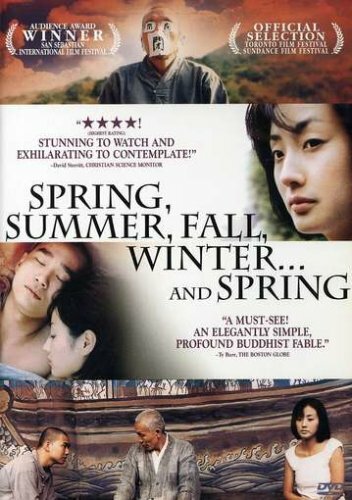 : Spring, Summer,… is one of the most beautiful films I’ve ever had the pleasure of seeing unfold before my eyes. It’s a film you have to experience rather than just watch and analyze. It’s peaceful, quiet, and visually stunning. It tells the story of a monk and a small boy living together on a floating temple. The monk watches the young boy grow up and mature as the seasons wear on. Why? : Close-Up was my first real experience with Iranian cinema, and it very quickly got my addicted to it. 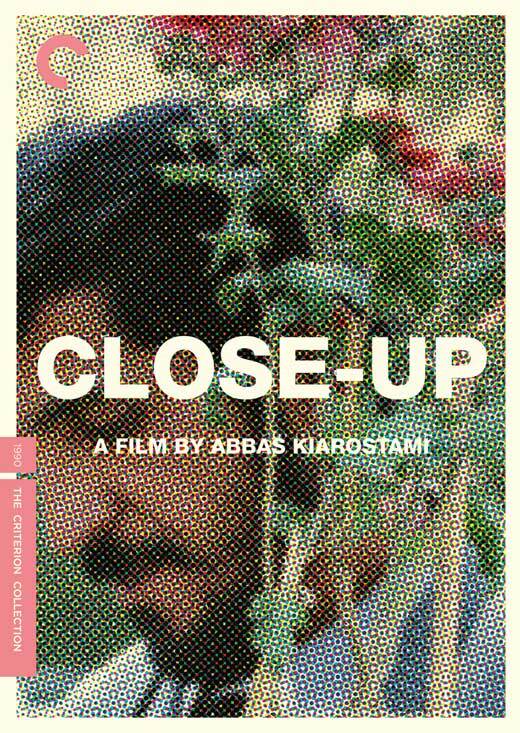 Close-up tells the story of a man pretending to be a famous film director, and how it affects a family who accepts him as one of their own. It’s incredibly well told, incredibly intelligent, and very “meta” in a lot of ways. I can’t recommend this film enough. Why? : No was easily my favourite foreign film of 2012, and was even nominated for Best Foreign-Language Film at the Oscars this past year. It tells an incredibly intelligent and fascinating story of Chile’s 1988 referendum, and features remarkable acting from Gael Garcia Bernal. 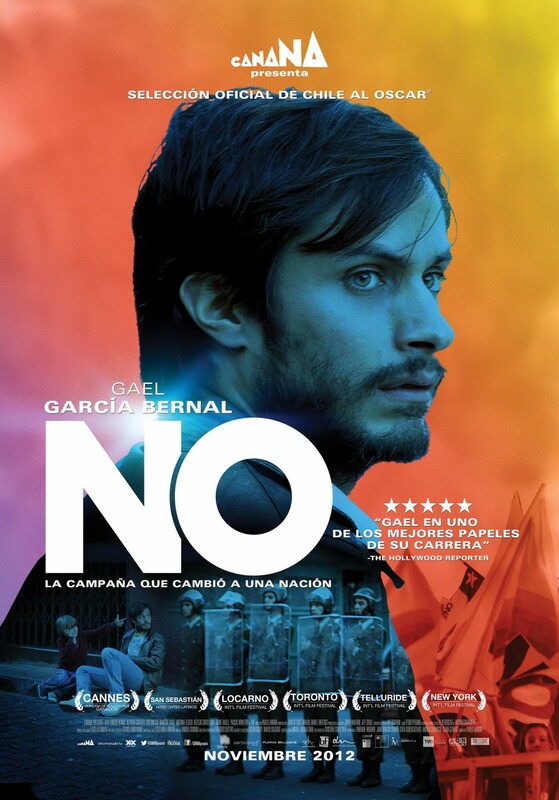 No is fun, incredibly well shot (it’s meant to look like it was captured on video), and expertly directed by Pablo Larrain. This is a film absolutely anybody could get a lot of enjoyment out of. Why? 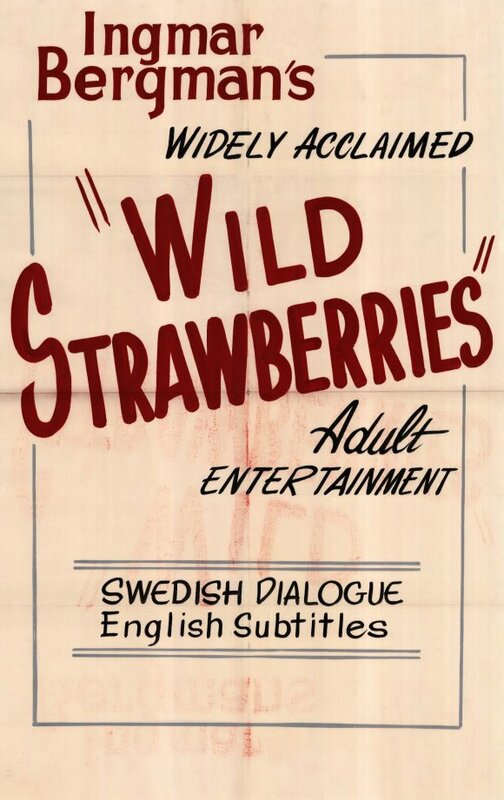 : Wild Strawberries was my first exposure to the works of Ingmar Bergman, and it had an incredible effect on me. It left me wide-eyed and wanting more, but also so emotionally exhausted that it took me nearly two years to visit another Bergman film. Wild Strawberries is truly one of those few films that will change your life, especially if you watch it at the right time in your life. Wild Strawberries is one I’m desperate to re-visit, but one I’m also afraid to see again for fear that it might leave me stunned again. See this film at any cost. Why? : The heist scene. This is all that really needs to be said of Rififi, one of the greatest crime films ever captured on film. Rififi‘s heist is carried out in a nearly 30 minute scene of complete silence. It is easily the most nervous I’ve ever been during a film, and literally had me on the edge of my seat the entire way through. 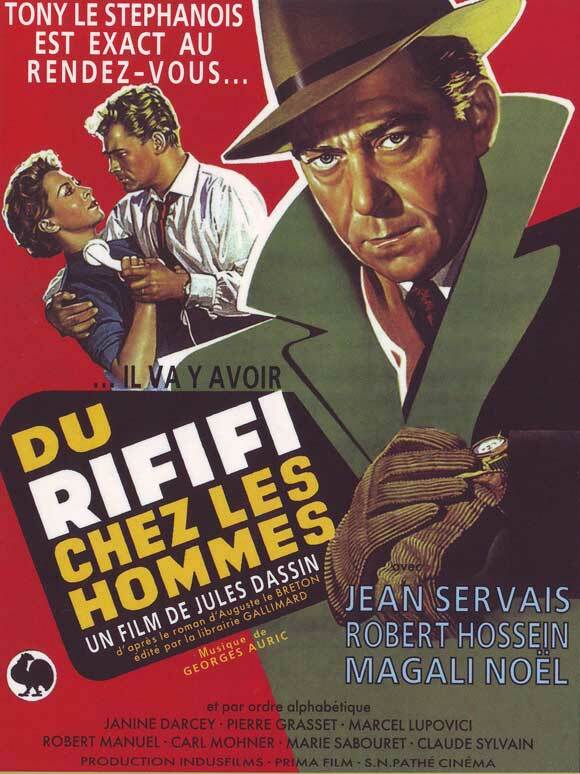 If you like films like Ocean’s 11, you must see Rififi at some point during your life. Why? 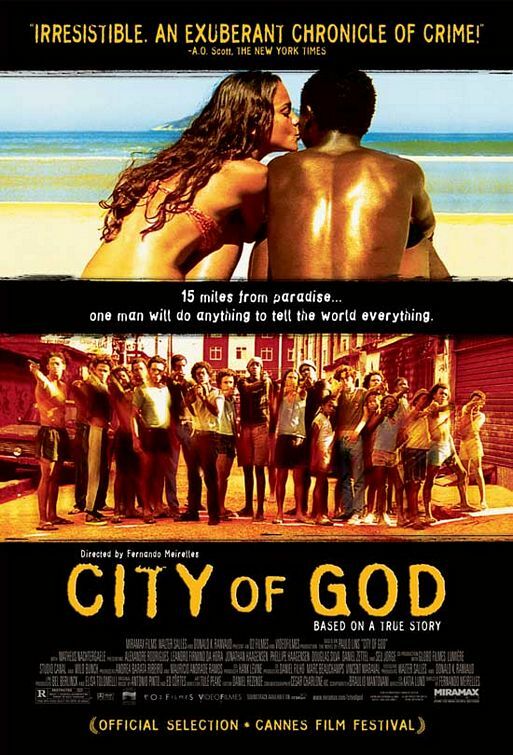 : City of God does the epic story of two boys growing up in Rio de Janeiro who take drastically different paths in life. 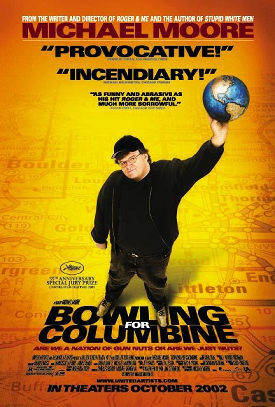 It’s violent, it’s funny, and it’s incredibly well directed and acted. 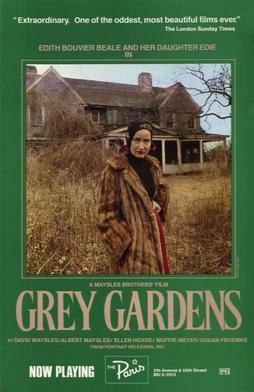 It was nominated for four Academy Awards upon its release, including Best Director and Best Adapted Screenplay. Truly one of the great crime films of modern-day cinema. Why? 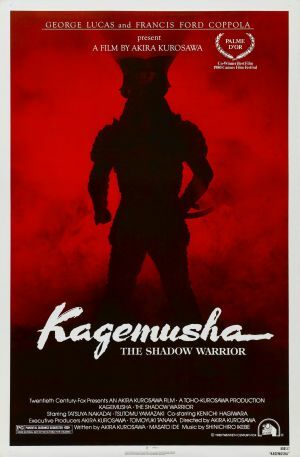 : Kagemusha was my first ever Akira Kurosawa film, and I wasn’t sure what to expect before I went into it. What I got was an incredible samurai film featuring epic battles, incredible colours, and unforgettable costumes. Anybody who enjoys films like the Lord of the Rings trilogy or any of Kurosawa’s other samurai epics will love Kagemusha. It’s a brilliant and truly underrated masterpiece. Why? 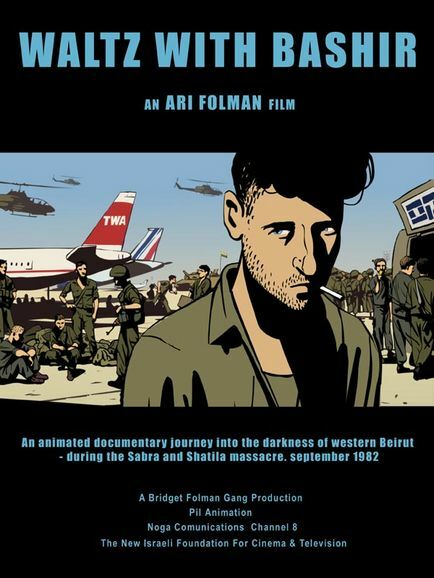 : Waltz with Bashir is the second and last animated feature on this list, and is more effective than most live-action films could ever hope to be. In the film we follow former soldiers as they tell stories of the 1982 invasion of Lebanon, a vital piece of Middle Eastern history. Waltz with Bashir uses some of the most amazing animation I’ve ever seen, and tells one of the most emotionally draining stories I’ve ever heard. It’s beautiful, heartbreaking, and a fascinating look at a moment in history that most people aren’t even aware of. Why? 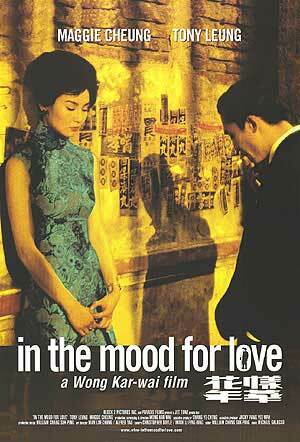 : In the Mood for Love tells one of the most beautiful and subtle love stories in the history of film. Brilliantly performed by Maggie Cheung and Tony Leung, the film tells the story of a man and a woman who suspect their partners of having an affair. This would just be another romance film without the help of Wong Kar Wai’s brilliant direction, the amazing performances by the two leads, and featuring some of the most magical moments in movie history. Highly recommended to anybody. Why? : 4 Months… is one of the most powerful films I’ve ever seen, and it will leave you dazed and confused once the credits begin to role. It’s a fascinating look at Communist Romania during the 1980’s, and features two of the most incredible performances I’ve ever seen. 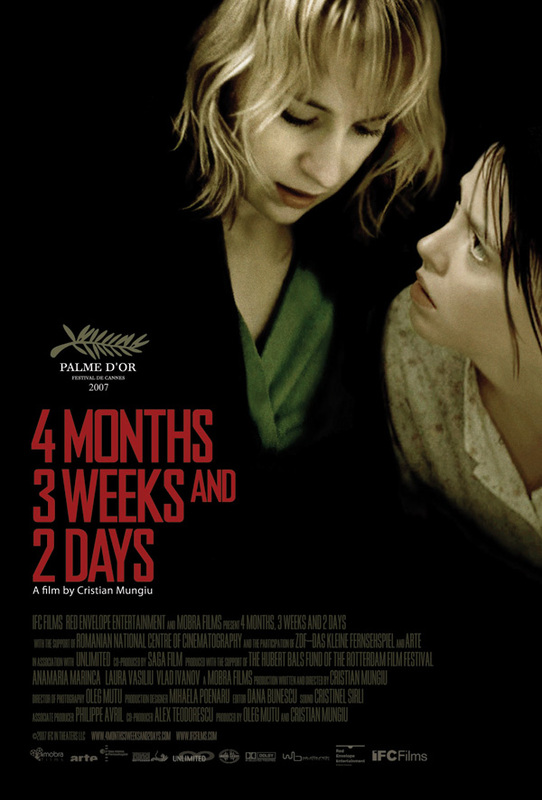 4 Months… is the gripping story of a young woman and her best friend looking to arrange an illegal abortion during a time of hardship in Romania. One of my all-time favourite films. Why? 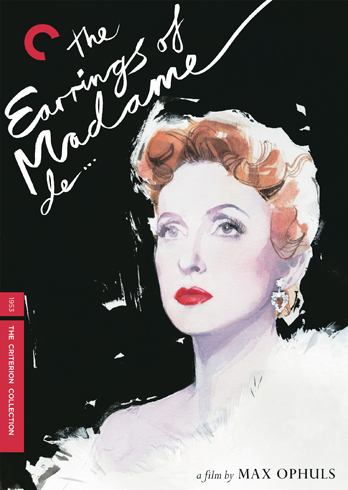 : The Earrings of Madame De… is a magical film from start to finish. It tells the story of a woman who sells a pair of earrings her husband has bought her so she can pay off her debts. They are purchased by a young Baron, who Louise eventually falls madly in love with. I can’t say anymore about the plot, because it really is much better to go into the film knowing very little about it. Max Ophuls’ highly energetic camerawork is at its absolute best here, as is the performance from Danielle Darrieux. Why? 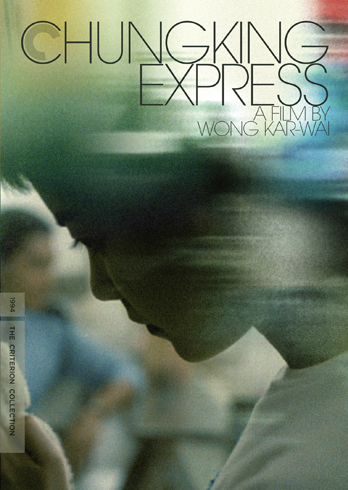 : Chungking Express is easily one of the “coolest” films ever made, and the 98 minutes it runs for are far too short. Quentin Tarantino cited this film as an influence on the style of Pulp Fiction, and said it was a huge inspiration to him as a filmmaker. Wong Kar Wai’s direction is incredibly stylish and impressive, and Tony Leung is nearly as good as he is in In the Mood for Love. One of the most unique and amazing movie-going experiences I’ve ever had. “California Dreamin'” will be stuck in your head for days after seeing this incredible film. Why? 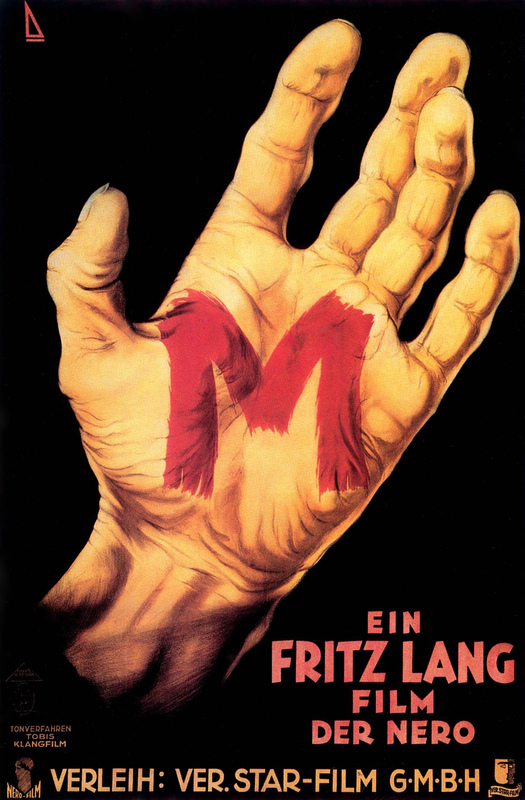 : Fritz Lang’s most famous film film M tells the story of a hunt for a man who murders children in 1930’s Germany. It’s incredibly tense, builds terrific atmosphere, and is an early example of why the sound film eventually overtook the silent film at the greatest storytelling medium. Peter Lorre as the films titular M is amazingly creepy. Not only is it a great thriller, but it also delivers some very relevant messages about our society as a whole. Why? : My third and final Ingmar Bergman on the list is perhaps the most moving, the coldest, and the most thought-provoking the director has ever been. 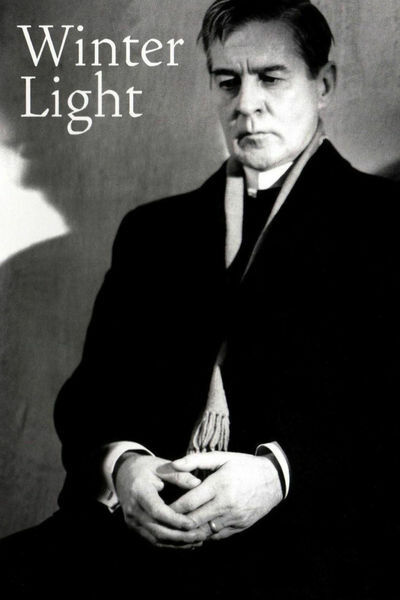 Winter Light tells the tale of a pastor suffering from a cold and from a severe crisis of faith in the freezing Swedish winter. Bergman’s usual cast of familiar faces are here, as are his themes of life, death, and faith. 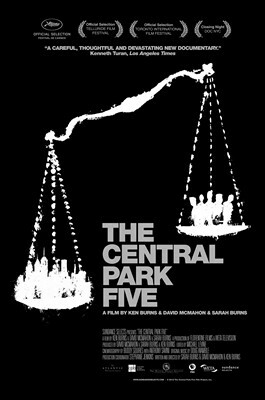 One of the most thought-provoking films I’ve ever seen. Just thinking about it nows gives me chills. I can’t recommend Winter Light enough. Why? : Seven Samurai is perhaps one of the most famous films of all-time, and it has literally every reason to be. Kurosawa’s most well-crafted film is one that has been universally praised by critics and viewers alike. It tells the story of seven samurai warriors banding together to defend a village from bandits. It’s incredibly exciting, violent, hilarious, and very beautiful. It also has one of the greatest performances in the life of legendary actor Toshiro Mifune. 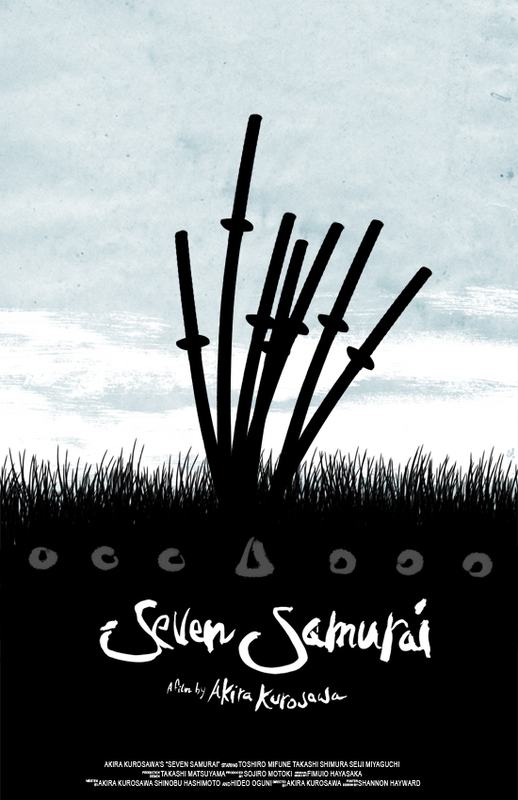 Seven Samurai is literally a perfect film in every aspect, and one that everybody should see if they haven’t already.